TRG Rogers, an Alter Company is a buyer of all ferrous and nonferrous metals such as car bodies, old appliances, aluminum cans, copper, brass, and stainless steel. We offer container and roll-off services, and can assist you with large clean-up jobs with our mobile baling teams. We want to partner with you, and show you how easy and profitable recycling can be. Our Express Recycling Center is designed to get you in, out, and on your way quickly. 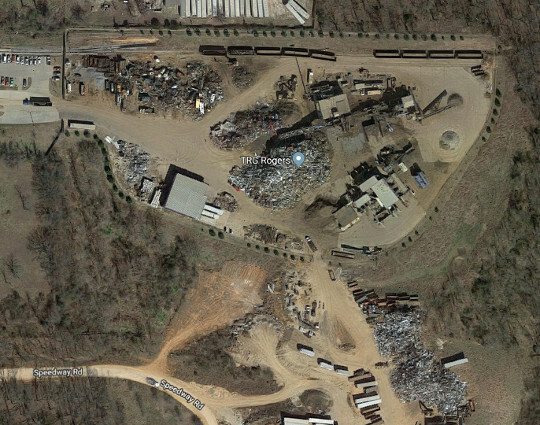 If you have smaller loads of scrap, we will unload it for you, and get you paid quickly so you can be on your way. Stop by today and experience the Alter difference! FROM I-540: Take Exit 86, then we are just 4.5 miles East on Highway 62 across from the Rogers Regional Airport.